We are excited to offer an opportunity to learn from HUH Institute co-founder, Allyson Baker from the comfort of your computer through an interactive Zoom online meeting. Allyson will provide you with cutting-edge information you need to understand how to make the most of your health and well-being. Human Universal Health is fundamentally simple. Both biologically and universally, we have been given all we need to live in optimal health, except for concise and accurate information. Most people are not well-educated on our bio-logical systems and fundamental truths of how to operate and nourish these bodies we are wearing, let alone achieve our full human potential through consciousness and acting decisively through in free will. Health and vitality are personal responsibilities. For too long, people have freely handed over control of their bodies to medical and dental professionals who often approach wellness in a fragmented, disconnected way. At the HUH Institute, we view the human body as a fully integrated and comprehensive organism. And we know that our biological selves are designed by nature to be cooperative, communicative, and collaborative with the world around us. 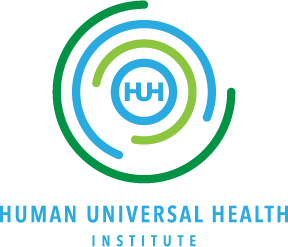 The HUH Institute is committed to providing you with access to the world’s leading biological health experts, thought leaders and biological dental and medical technology to transform the passive, isolated treatment of disease and decay into an actively engaged pursuit of holistic vitality. We will be meeting in the Human Universal Education Center to learn in community. If you are unable to attend we will have an option to join online with a “Zoom” online meeting. If you would like to join us in person, we will offer refreshments in the Human Universal Education Center. Otherwise, please join us online through zoom.us technology. At 6pm, follow this link to join the conversation.